Dr. Steven McMurtry is the director of the social welfare Ph.D. program and has been a faculty member at the Helen Bader School of Social Welfare since 1996. Dr. McMurtry's practice experience includes employment as a child welfare worker, researcher, and program evaluator. Prior to his position at the University of Wisconsin-Milwaukee, he was a professor at Arizona State University and a Fulbright Fellow at the University of Calgary. 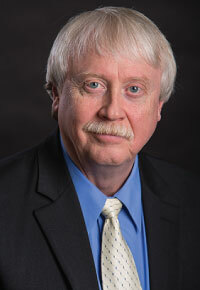 Dr. McMurtry teaches courses in research methods, social policy, and child and family well-being. McMurtry co-directs the Child Welfare Training Program, funded by the State of Wisconsin. The program offers financial assistance to current and prospective employees of the Bureau of Milwaukee Child Welfare and its partner agencies to enable them to complete a specialized curriculum in child welfare. BSW, MSW part-time, and MSW full-time participants are eligible to apply. Since the program’s inception, it has helped prepare more than 300 students for work in child welfare in Milwaukee County, and many of these graduates are still employed by the Bureau and its partners. McMurtry, S. L. & Rose, S. J. (2019). Long-term child welfare training project 2018-19. Educational grant funded by the Wisconsin Department of Children and Families. Amount: $483,533. McMurtry, S. L., Rose, S. J. & Berger, L. K. (2018). Rapid assessment instruments. In C. Franklin (Ed.) Encyclopedia of Social Work, Online Ed. New York: Oxford University Press. Franklin, C. & McMurtry, S. L. (April 2019). Admissions and Recruitment. Invited workshop presented at the Annual Conference of the Group for the Advancement of Doctoral Education, Los Angeles, CA. Christensen, B., Han, W., LaSala, M., & McMurtry, S. L. (April 2019). Growth in social work doctorates. Invited plenary panel at the Annual Conference of the Group for the Advancement of Doctoral Education, Los Angeles, CA. McMurtry, S. L. & Rose, S. J. (2015). Long-term child welfare training project 2014-15. Educational grant funded by the Wisconsin Department of Children and Families. Amount: $1,108,499. McMurtry, S. L., Rose, S. J. & Berger, L. K. (2015). Very brief screens for practice and evaluation. In K. Corcoran and A.R. Roberts (Eds.) Social workers’ desk reference, 3rd ed. New York: Oxford University Press. McMurtry, S. L., Bay-Cheng, L. & Lundahl, B. (April 2015). Orientation for new directors. Workshop presented at the Annual Conference of the Group for the Advancement of Doctoral Education, Lawrence, KS. Netting, F.E., Kettner, P.M., McMurtry, S.L., & Thomas, M.L. (2017). Social Work Macro Practice, 6th ed. Boston: Pearson. This textbook is used in both BSW and MSW curricula to help students learn about practice in communities and organizations. It includes content on the history of macro practice, community and organizational theory, ways to analyze and understand macro systems, and ways to bring about change on behalf of clients. Additional information is available from the publisher.